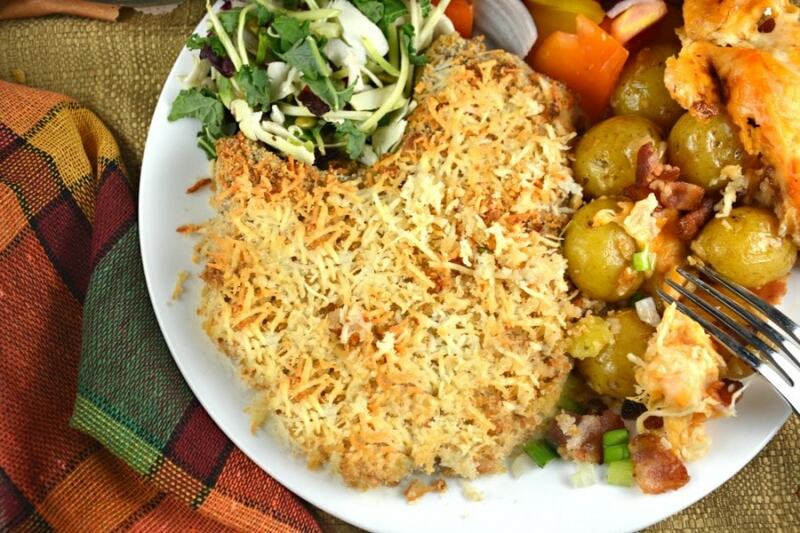 Easy Parmesan Caesar Pork Chops take little time to prepare. Flavored with caesar salad dressing and parmesan cheese they go perfectly with any side! Easy Parmesan Caesar Pork Chops are something everyone should try. They are so tasty and always so tender! All you need is creamy caesar salad dressing, parmesan cheese and some breadcrumbs. 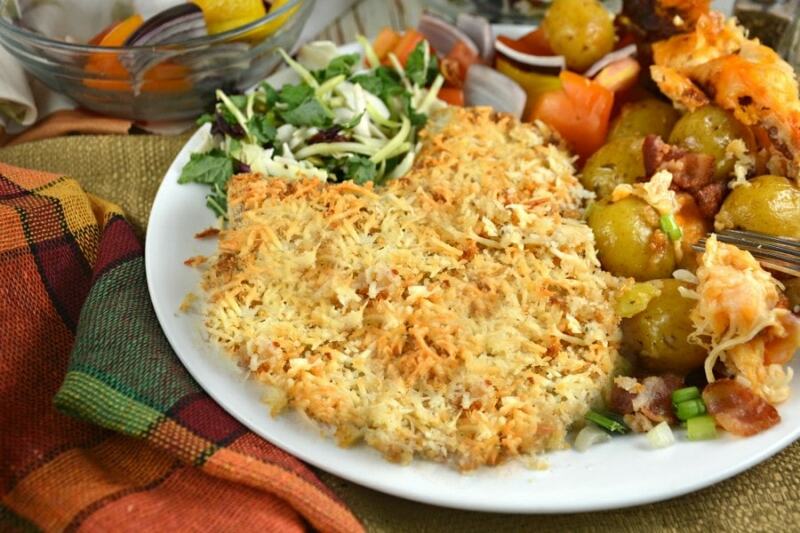 After you dip each pork chop in the dressing the parmesan cheese mixed with the breadcrumbs make the outside coating absolutely mouthwatering. Really. A suggestion might be to serve these pork chops with a Caesar salad and a great dinner is made in no time at all. I have used boneless pork chops and cut them up into slices and served it on a caesar salad. Boy oh boy was it different an delicious! If you are not in the mood for salad not to worry, these Easy Parmesan Caesar Pork Chops can be served with anything and everything! Check out our video below! I think you will be glad you did! Heat oven to 400 degrees. Spray a foil-lined baking sheet with a rack with cooking spray. Set aside. Pour salad dressing into a shallow bowl. 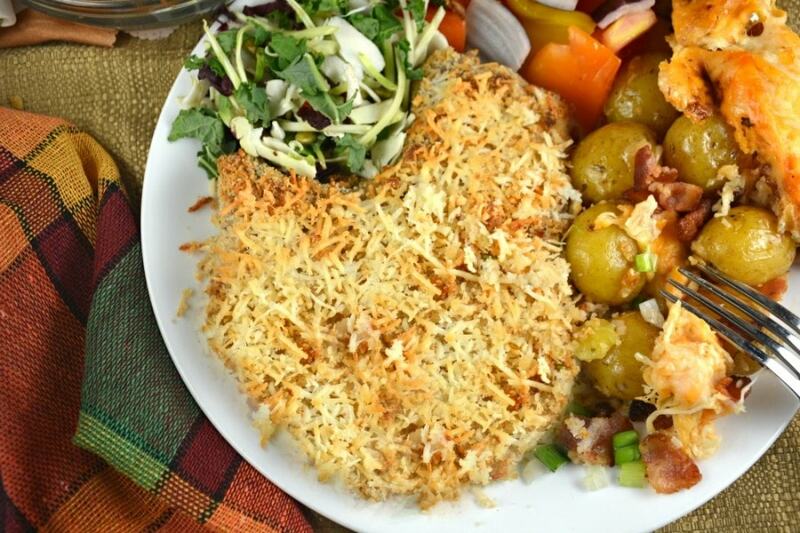 Mix parmesan cheese and breadcrumbs in a separate bowl. 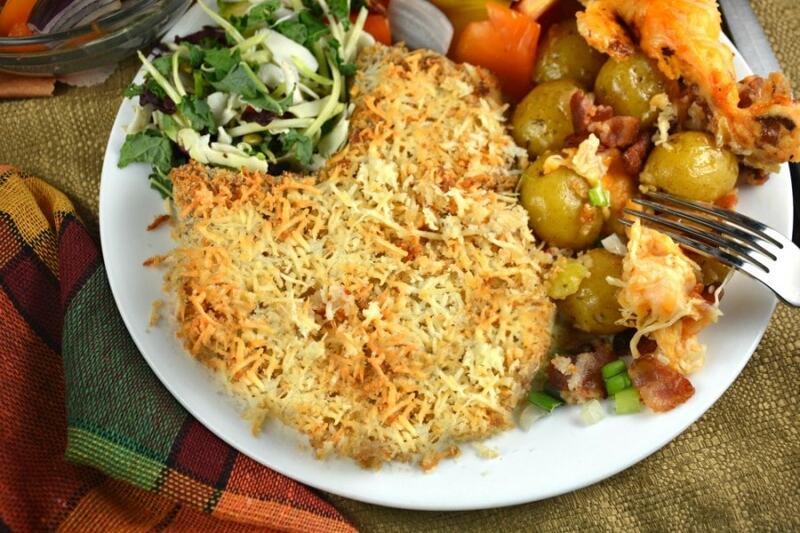 Dip pork chops in salad dressing and then coat well in the crumb mixture. Place on the rack. Sprinkle with more parmesan cheese if desired. I usually do! I can't help myself. Bake for 20-30 minutes or until pork is no longer pink in center. Serve and enjoy!